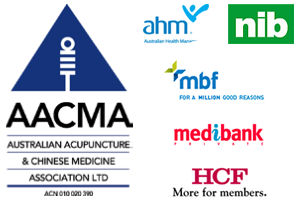 Acupuncture Coffs Harbour, provides professional treatment, tailored to each individual patients needs. Working within the frame work of Traditional Chinese Medicine treatments provide solutions to many and varied health concerns. To achieve the best outcome for each person, individual treatment plans are implemented. Treatments will often consist of a combination of Acupuncture, Moxibustion, Herbal Medicine, Tui Na (TCM Remedial Massage) Nutrition and Lifestyle advice to help you reach your goals. For Professional help with conditions including but not limited to, Musculoskeletal Pain Management, Hormonal Imbalance, Fertility (Infertility, Pregnancy, IVF) Immune Restoration, Stress, Anxiety and Sleep Disorders, Fatigue and Adrenal Exhaustion or Digestion Issues please contact the clinic to discuss your treatment options.